Interested in soaring as an agent with Lux Property Group at Keller Williams, the world leader in training? Follow this link! 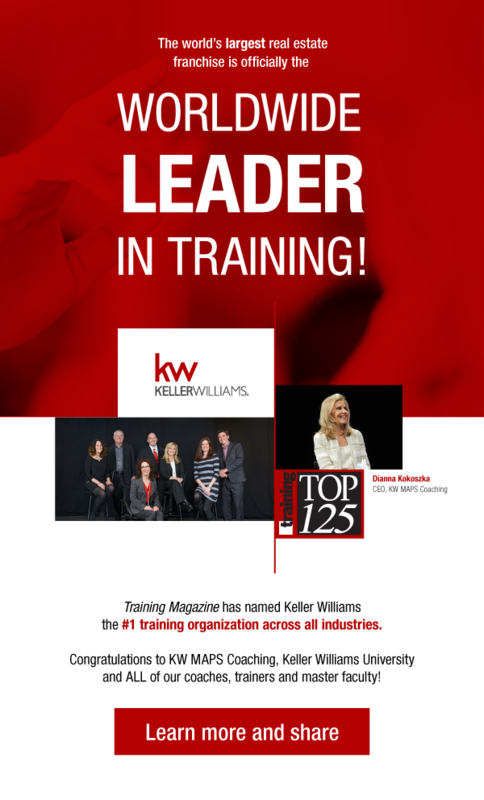 Williams Realty has been ranked the world’s #1 training organization across all industries by Training Magazine on the same day that Keller Williams announced it was the largest real estate franchise by agent count in the world! industries by Training Magazine on the same day that Keller Williams announced it was the largest real estate franchise by agent count in the world! 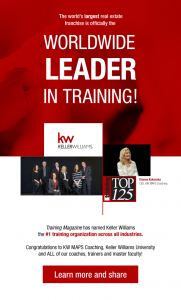 Keller Williams was recognized for the growth, productivity and profitability gains resulting from its world-class education and training programs at the Feb. 9 awards ceremony in Atlanta, honoring the Training Magazine “Training Top 125”. It’s no wonder why Keller Williams agents thrive amongst the rest. It was Keller Williams’ commitment to employee development and consistently updated training programs that earned them the accreditation from Training Magaizine, and that make Keller Williams the best Real Estate company to work for. Lux Property Group at Keller Williams – the luxury real estate specialists. Lux Property Group specializes in Luxury Real Estate, Gilbert Real Estate, Chandler Real Estate, Scottsdale Real Estate, Phoenix Real Estate, Short Sales (Pre Foreclosures) and Foreclosures. Your Quality Luxury Real Estate Agents. Find success with the best real estate company to work for. To join Lux Property Group at Keller Williams follow this link. We look to hearing from you!